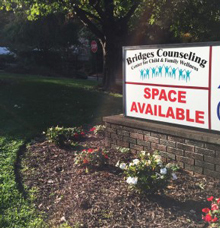 At Bridges Counseling Center for Child & Family Wellness we strive to help clients increase awareness, empowerment, and pro activity resulting in significant life changes. Through the development of a professional, compassionate, and confidential therapeutic relationship, we help promote the improvement of the individual and/or family’s life situation in an emotionally validating place where strengths and resources can be uncovered. We believe strongly in the human experience and embrace the honor of helping other’s understand their own. We understand that successful relationships contribute to the effectiveness of therapy, therefore, we focus wholeheartedly on establishing positive and supportive therapeutic alliances for the greater good of improving treatment outcomes. “May your heart be filled with loving kindness. May you have gratitude and the ease of fortune. May you be healthy and strong in spirit; mind and body. May you grow infinite compassion for yourself and others. May you know peace and happiness. May you love and be loved. Taking these gifts into the world; may they light your way. 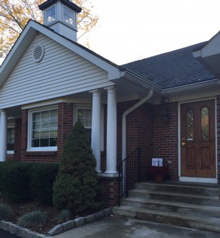 We are committed to professional development, confidentiality, compassion, professionalism and helping others.